The Journal of Nanoscience & Nanotechnology Research is a multidisciplinary, peer-reviewed journal covering fundamental and applied research in all disciplines of nanotechnology. The Journal of Nanoscience & Nanotechnology Research deals with all aspects of nanoscience such as: nanomaterial synthesis, processing, and assembly; simulation of nanostructures; nanofabrication; and various methods used in nanomanipulation and nanotechnology. 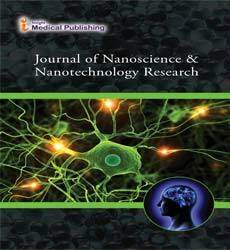 The scope of the Journal include: Nanoprobes, Nanofluidics, Nanomagnetism, Semiconductor Nanostructures, Nanoelectronics, Quantum Nanodevices, Nano-optics, Nanoemulsions, Nano-mechanics, Nanodevices, Nanobiotechnology, Nanomedicine, and Nanotoxicology. The use of nanotechnology in electronic mechanisms. The term covers a diverse set of devices and materials, with the common characteristic that they are so small that inter-atomic interactions and quantum mechanical properties need to be studied widely. The field of nanoelectronics aims to allow the continued awareness of this law by using new methods and materials to build electronic devices with feature sizes on the nanoscale. Related Journals: Journal of Materials Science and Nanomaterials, Journal of Nanomedicine & Nanotechnology, Global Journal of Technology and OptimizationJournal of Nanomaterials & Molecular Nanotechnology. Nanotribology that studies friction, wear, adhesion and lubrication phenomena at the nanoscale, where atomic interactions and quantum effects are not negligible. Nanotribology and nanomechanics studies are needed to develop fundamental understanding of interfacial phenomena on a small scale and to study interfacial phenomena in magnetic storage devices, nanotechnology and other applications. Related Journals: Journal of Nanomaterials & Molecular Nanotechnology, Research & Reviews: Journal of Material SciencesJournal of Nanomedicine & Nanotechnology. Nanofluidics is the study of the behavior, manipulation, and control of fluids that are confined to structures of nanometer. In pores of nanometer dimensions the electrical double layer may completely span the width of the nanopore, resulting in dramatic changes in the composition of the fluid and the related properties of fluid motion in the structure. Related Journals: Nano Science & Nano Technology: An Indian Journal, Current Nanoscience, Micro and Nano Letters, Journal of Computational and Theoretical Nanoscience, Journal of, Nanoscience and Nanotechnology, Journal of Nanomedicine & Nanotechnology. The toxicity of nanomaterials. Because of quantum size effects and large surface area to volume ratio, nanomaterials have unique properties compared with their larger counterparts. Calls for tighter regulation of nanotechnology have arisen alongside a growing debate related to the human health and safety risks associated with nanotechnology. Related Journals: Journal of Nanomedicine & Nanotechnology, Nano, Current Nanoscience, Nano Research & Applications. A nanoprobe in the real world, as opposed to fiction, is an optical device. The reflected light demonstrates vibration energies unique to each object, which can be characterised and identified. The term nanoprobe also refers more generically to any chemical or biological technique that deals with nanoquantitles. Related Journals: Journal of Nanomedicine & Nanotechnology, Journal of Nanomaterials, Microsystem Technologies, Digest Journal of Nanomaterials and Biostructures, Journal of Laser, Journal of Materials Science and Nanomaterials. The research area of nanotechnology and physics that uses methods of quantum mechanism to the design of novel types of nanodevices and nanoscale constituents. The quantum phenomena superposition and entanglement, to perform quantum operations with quantum states. A quantum robot is a hypothetical mobile quantum nanosystem, which could be built using nanotechnology. Related Journals: Journal of Biotechnology & Biomaterials, Journal of Nanomedicine & Biotherapeutic Discovery. Nanobiotechnology, bionanotechnology, and nanobiology are terms that refer to the intersection of nanotechnology and biology. The imaging of native biomolecules, biological membranes, and tissues is also a major topic for the nanobiology researchers. Nanobiology include the use of cantilever array sensors and the application of nanophotonics for manipulating molecular processes in living cells. Related Journals: Journal of Nanobiotechnology, Journal of Biomaterials and Nanobiotechnology, Optical Methods in Nanobiotechnology, International Journals of Nanobiotechnology, Journal of Biotechnology & Biomaterials, Journal of Nanosciences: Current Research. The Nano-Optics Group studies optical interactions with matter on a subwavelength scale. Topics of interest are near-field optical spectroscopy, single molecule studies, and nanostructured materials for sensing applications. Related Journals: Nano-Optics and Nanophotonics, Journal of Nanosciences: Current Research,Nano Science & Nano Technology: An Indian Journal. Nanomedicine is the therapeutic submission of nanotechnology. Nanomedicine assortments from the therapeutic claims of nanomaterials and organic devices, to nanoelectronic biosensors, and even possible future applications of molecular nanotechnology such as biological machines. Current difficulties for nanomedicine involve understanding the issues related to toxicity and environmental impact of nanoscale materials (materials whose structure is on the scale of nanometers). Related Journals: Journal of Nanoscience: Current Research, Applied Nanoscience and Cancer Nanotechnology. Nanocell refers to a drug delivery platform consisting of a polymer-bound chemotherapeutic drug combined with a lipid-bound anti-angiogenesis drug.Angiogenesis, or the formation of new blood vessels, plays a major role in the development of a tumor. For tumor cells cut off from the blood supply can eventually develop “reactive resistance” to hypoxia. These resistant cancer cells could be killed by chemotherapeutic drugs, but once the vasculature to the tumor has been cut off, there is no way for chemotherapy to be delivered. Related Journals: Nano Research and Applications, BioNanoScience, Nano Research and Journal of Nanostructure in Chemistry. Nanosensors are sensors whose active elements include nanomaterials. There are several ways being proposed today to make nanosensors; these include top-down lithography, bottom-up assembly, and molecular self-assembly.These are also used to detect the presence of pathogens like bacterias, virus, etc. Medicinal uses of nanosensors mainly revolve around the potential of nanosensors to accurately identify particular cells or places in the body in need. Related Journals: Journal of Nanomedicine & Biotherapeutic Discovery, Journal of Nanoparticle Research, Nano-Micro Letters and Nano Research.